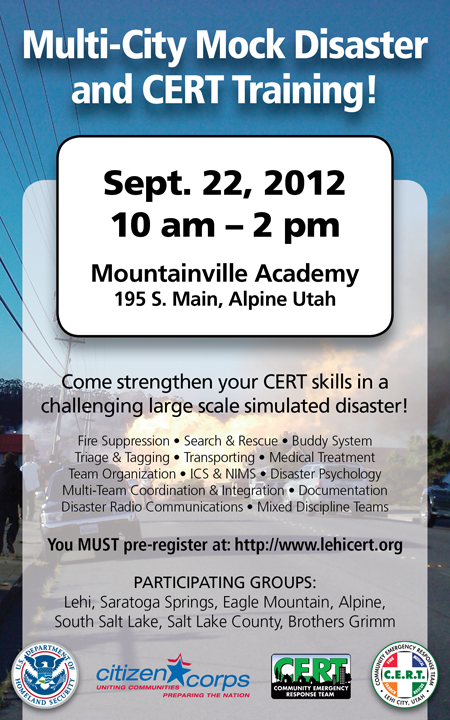 On Saturday, September 22, 2012 several CERT teams and organizations put on one of the biggest mock disaster drills we have seen with over one hundred participants. The drill was held at Mountainville Academy in Alpine Utah. Be sure to see the Photo Gallery and Video of the event.